The undersigned organizations, express our deep concern about the serious incidents that occurred on Friday, April 15 in the town of San Francisco de Ojuera -Department of Santa Barbara where a dozen people were injured. –	The caravan continued its journey to the banks of the River Gualcarque where a spiritual ceremony was held in memory of Berta Cáceres. – Faced with the violence that broke out, the National Police did not react immediately, only intervening after several people in the caravan insistently requested it. We are concerned that the Honduran authorities did not ensure the safety of those present and did not take immediate action against the attacks. These events have occurred in the context of repeated complaints against the DESA company. These complaints hold the company responsible for the murder of Berta Cáceres as well as for multiple threats and attacks against members of communities and COPINH because of their opposition to the Agua Zarca dam. In light of these developments, we express our serious concern about the situation of extreme vulnerability for organisations, communities and human rights defenders in Honduras, and in particular members of COPINH. The organisations below reiterate our support to requests from Berta Cáceres’ family and members of COPINH, urging the Honduran government to sign an agreement with the Inter-American Commission on Human Rights (IACHR), creating a committee of independent experts to investigate the murder of Berta Cáceres and other cases of human rights defenders who have been killed in Honduras, despite having been granted precautionary measures from the IACHR. In this context characterised by the closure of spaces for human rights defenders, we are also concerned that situations like the one above make difficult international accompaniment and observation to help protect spaces for non-violent conflict resolution and the promotion and defence of human rights in Honduras. The work of international accompaniers and observers in the country responds to requests from organisations and civil society who have the right to defend their rights, and to seek support and international observation when faced with threats and attacks. ◦ Expressing appreciation and support for the work of national and international organisations participating in the caravan on 15 April. ◦ Showing concern at the situation described above and the lack of immediate reaction by the authorities present to the reported violence. 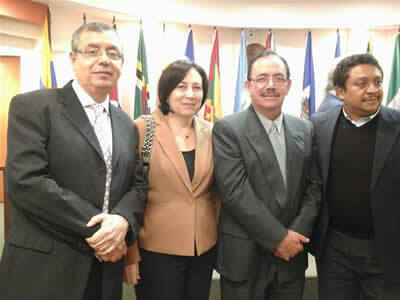 ◦ Reminding the Honduran State of its obligation to protect human rights defenders, and emphasising the importance of the work they carry out in Honduras. It is also important to highlight the importance of the work carried out by international observers and accompaniment organisations when their presence is requested due to threats and attacks. • In particular, we call on the Diplomatic Corps and Ministries of Foreign Affairs and / or Aid Agencies to ask for the competent institutions to clarify the events reported, urging a prompt, impartial and thorough investigation into the attacks and threats made by the aggressors and into the actions of the national police. • Express publicly, through the appropriate channels, support for the work of human rights defenders in Honduras and their right to receive support from international organisations and other organisations. – World Organisation against Torture (OMCT), in the framework of the Observatory for the Protection of Human Rights Defenders. 1. Two days after these incidents, 17 April 2016, the Canada-Honduras Delegation for Justice, Land and Life went to the opencast gold mine San Andres in La Union, Copan. 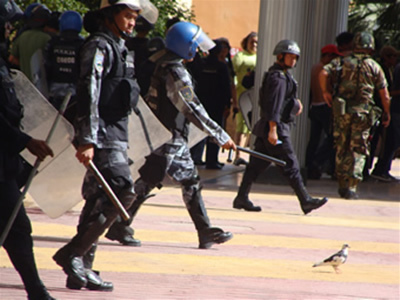 As the Canadian delegation approached the city of Azacualpa, a group of about 180 mine workers – some armed with machetes, sticks and stones – blocked the street. The delegation reported that the police were present but initially failed to act. The delegation was later notified that they could travel safely to the community and the police managed to disperse the crowd. Mining Watch and other NGOs from the delegation, however, have expressed serious concern about this kind of intimidation. 2. Members of the coordination of COPINH are beneficiaries of IACHR precautionary measures 112-16 of 03.05.2016. This is how the pronouncement from the human rights organizations FIDH (International Federation for Human Rights), CIPRODEH and COFADEH begins; the statement was released following the announcement by the Prosecutor of the International Criminal Court stating that the Court would not continue its preliminary examination regarding Honduras. The 2009 Coup d’état in Honduras resulted in systematic and brutal repression against social movements protesting against the coup and many violations of human rights such as illegal detentions, torture and extrajudicial executions. Parallel to the complaints filed with the national justice system, international actions were also initiated, including before the Interamerican System for Human Rights and the International Criminal Court. More than six years after the Coup d’état, how has the Honduran judicial system acted to sanction those responsible for committing human rights violations? We can examine how some of the emblematic cases of human rights violations related to repression of protestors highlighted in the Truth Commission Report have been addressed. Has there been justice in these cases? 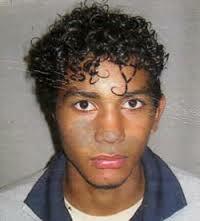 Isy Obed Murillo, first fatality of the repression. 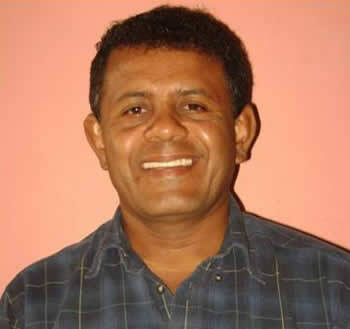 On July 5, 2009, Isy Obed Murillo became the first fatality of the coup d’état. On this day thousands of Hondurans had come together in the Toncontin Airport to await the return of the Honduran President, Manuel Zelaya, which had been announced for this day. Soldiers shot fired on the crowd with live ammunition, nineteen year old Isy Obed received a bullet to the head, killing him instantly. COFADEH then brought charges against the police official in charge of the operation, Elder Madrid Guerra and the Prosecutor for Human Rights began a legal process against him and five additional police officials, accusing them of torture, illegal detention, abuse of authority and harassment. At the end of February 2015 the judge found the (then) national police commissioner Elder Madrid Guerra innocent of the charges. This decision is still under appeal. For the other officials, the court applied an Amnesty Decree issued in 2010. vii This decision was rejected by the prosecution and a ruling from the Constitutional branch of the Supreme Court is pending. The Human Rights Prosecutor initiated a case against Hector Ivan Mejia and Abrahan Figueroa Tercero, both high officials in the National Preventative Police unit. They were charged with illegal detention, torture and abuse of authority. Attorney, Omar Menjivar initiated charges regarding actions against a journalist from Radio Progreso, Gustavo Cardoza, who was beaten and illegally detained while exercising his right as a journalist to cover the demonstration. The police were found innocent of all of the charges which had been brought against them. This decision remains on appeal to the Constitutional Branch of the Supreme Court. One year after these events in Choloma, in the same department, the people of San Pedro Sula suffered the first heavy repression under the new government of President Lobo. 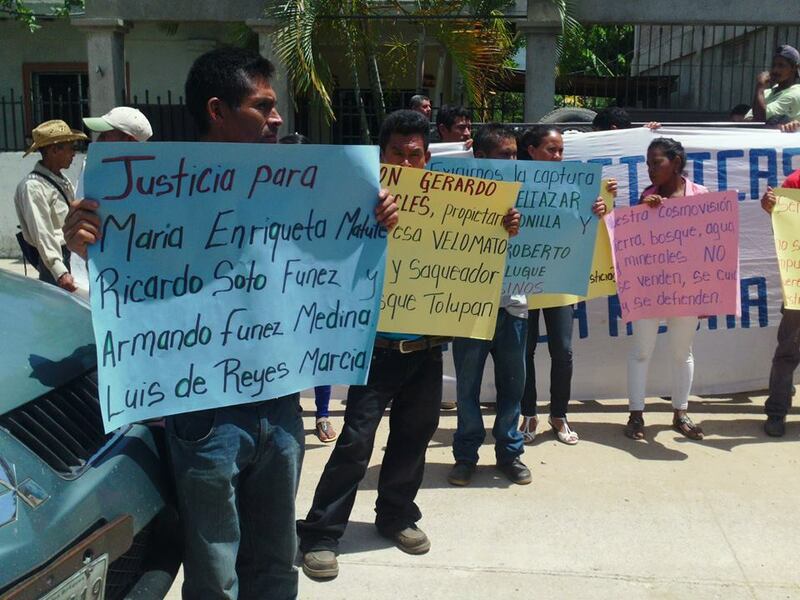 The Prosecutor for Human Rights and private prosecutor, attorney Victor Fernandez, representing the victims, initiated a legal process against the sub commissioners of the National Police, Hector Ivan Mejia (also accused in the case of the repression in Choloma) and Daniel Omar Matamoros. They were both accused of the crimes of violation of the duties of functionaries, illegal detention, torture and injury. Nevertheless, the Appellate Court dismissed all of the charges which had been brought against them. In addition to these cases, hundreds of other cases which occurred in the aftermath of the coup d’état have not resulted in charges being filed, or even investigated by the Prosecutor’s Office. Even in the emblematic, cases which are highlighted in this article, no victim of post-coup repression has obtained justice. With the exception of one case, no one has been convicted for human rights violations during this period. xi And several high ranking officers from the Police and Armed Forces have received promotions. For example, Hector Ivan Mejia and Elder Madrid Guerra, the two Commissioners involved in the three cases of repression presented here, far from being sanctioned, they have been promoted in rank, and today both are part of the high command of the Police. Additionally, several cases have been taken to the Interamerican System of Human Rights. On November 10, 2015 the Interamerican Court, announced its ruling in favor of four judges, member of the “Association of Judges for Democracy”, who were removed after publishing communications denouncing the coup d’état. This ruling against the State of Honduras obligates the State to reinstate the judges or, that not being possible, provide compensation to the judges equal to what they would have received had they remained in their positions . This sentence, condemning the State represents a light of hope for the victims, not only in this case, but also for all victims of the Coup d’état who continue to demand justice. i https://www.fidh.org/en/issues/international-justice/international-criminal-court-icc/honduras-crimes-committed-following-the-2009-military-coup-must-be The ICC only holds jurisdiction over genocide, crimes against humanity and war crimes, and the Prosecutor concluded that, based on the information available to her, the legal criteria for those crimes had not been met. COFADEH has registered 184 cases of forced disappearance from the end of the 70s to the beginning of the 90’s; in addition there are dozens of disappearances that were never reported. James («Guadalupe») Carney, a US Jesuit priest, is one of the 184 registered cases; his face appears with the disappeared at COFADEH and in the vigils that are held each month. COFADEH, in coalition with other organizations, has accompanied these cases appealing to the national and international systems of justice. Several of their cases involving the murder and forced disappearance of social movement leaders, reached the Inter American Court of Human Rights. The first two decisions of the recently created Inter American Court of Human Rights, resulted in findings of guilt on the part of the State of Honduras for forced disappearance. In 1988, in its first sentence, the Inter American Court found the State of Honduras guilty of the torture and forced disappearance of a young student, Manfredo Velázquez Rodríguez. The sentence affirmed that “the existence of a practice of carrying out forced disappearances or tolerating the practice on the part of Honduran authorities between 1981 and 1984.” Later, in the case of Saul Godínez Cruz, in 1989, the State was again found guilty of forced disappearance by members of state security forces. 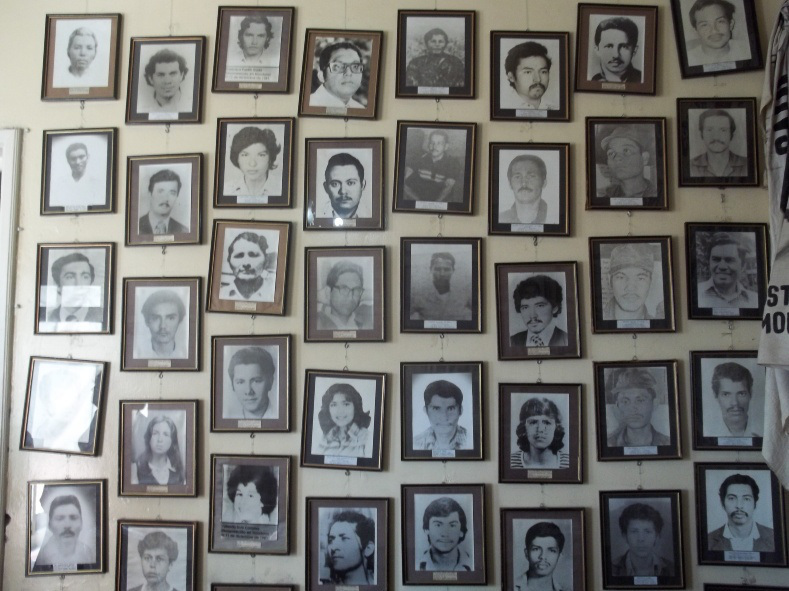 The Courts’ declaration of State responsibility for kidnapping, torture and forced disappearance, was historic for Latin America; it provided legal recognition of what was already known in Honduras and was denied by authorities. As of 1981, forced disappearance became State policy in the framework of the Doctrine of National Security. In these cases, the Court ordered the State to compensate the families of the victims, to investigate the acts and to punish those responsible. 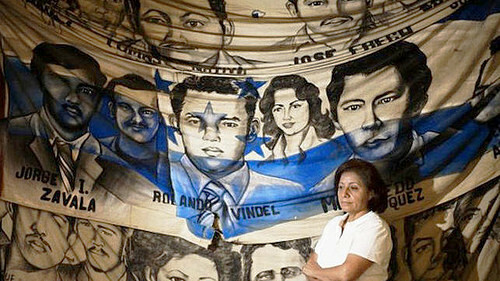 In 2003, the State of Honduras was found guilty again by the same Court, for the disappearance and death of Juan Humberto Sánchez, in 1992. However, despite the guilty sentences, none of these cases have been investigated nor have those alleged to be responsible for the crimes be tried in court. Today, the authors of human rights violations in the 80s, rather than fearing the possibility of prison, continue to be free, some of them work as advisors on security issues. In addition to all of the crimes of the past that remain in total impunity, recently the specter of this crime against humanity became a reality for Hondurans once again. Following the 2009 coup, COFADEH has documented 16 cases of disappearance as the country experiences a resurgence of this practice in a context of repression of social protest and imposition of terror. One emblematic case is that of Reynaldo Cruz Palma, who was forcibly disappeared on the very day dedicated to commemorate the Detained and Disappeared, August 30, 2011. José Reynaldo Cruz Palma was a community leader, the President of the Patronato of the Colonia Planeta, San Pedro Sula. Just two days before he was disappeared, he and his wife had taken actions on behalf of 10 people illegally detained in their neighborhood. Two months earlier, Reynaldo had denounced on television, police abuse on which occurred during an operation in his neighborhood resulting in the death of seven alleged gang members. Re-opening cases from the 80? The announcement by the Special Prosecutor was received with caution on the part of COFADEH and other human rights defenders. This announcement was made on the day of a private supervision hearing on compliance with sentences of the Inter American Court of Human Rights against the state of Honduras.4 The announcement also comes, just as Honduras must present a report to the UN Committee on forced disappearance which has been delayed. In a context of extreme impunity, human rights defenders ask if the announcement to re-open cases reflects the government’s attempt to create an image of respect for human rights before international organizations rather than a real commitment to justice and to end impunity. As long as cases of forced disappearance from the past remain in impunity and new faces, of those forcibly disappeared today, appear on the walls and vigils of COFADEH, the organization will continue its efforts for truth, justice and an end to impunity. Report by former National Human Rights Commissioner, Leo Valladares, “The Facts Speak for Themselves” report on the disappeared in Honduras, 1980-1993. 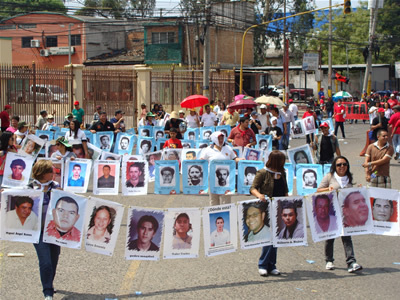 1 At the international level, in 2010 the UN General Assembly decided to declare August 30th, International Day of Victims of Forced Disappearance. 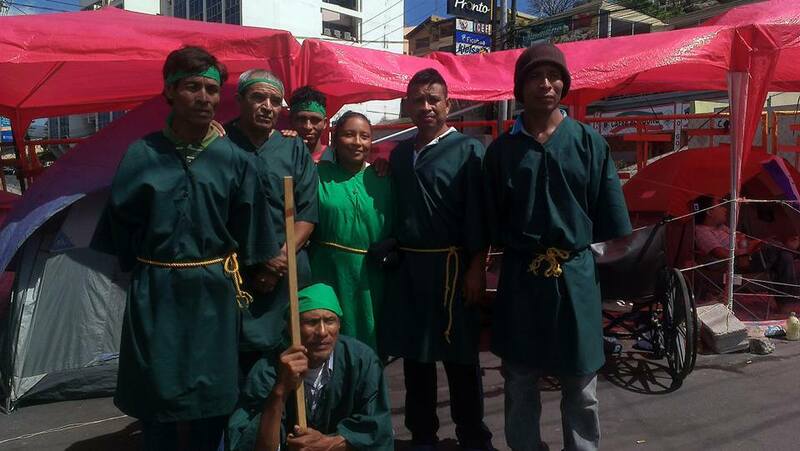 PROAH expresses deep concern for the lives of 7 members of the Tribe of San Francisco de Locomapa who joined the hunger strike in Tegucigalpa, and for the situation of impunity and extreme violations of human rights in the community of Locomapa, Yoro. 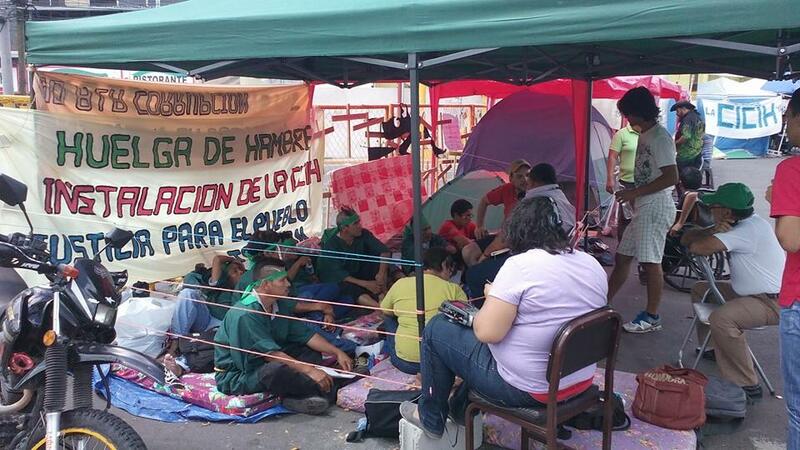 The seven Tolupanes participating in the hunger strike were issued protective measures by the Inter American Commission for Human Rights in December of 2013. These measures were issued following the triple murder, on August 25, 2013, of three members of the community who opposed illegal logging. The IACHR requested the state of Honduras to protect 18 members of the community and their family members, a total of 38 people at high risk. Since August 2013, seven members of the community have been murdered, including five people struggling to protect land and natural resources in opposition to the illegal mining of antimony and logging of communal lands. The most recent murder of land rights defender, Erasio Vieda Ponce, occurred on June 18, 2015 in the community of Las Brisas Locomapa. Witnesses state that the murders of five land rights defenders were committed by men belonging to a group that works for the mine and powerful business elites in the region. Arrest warrants were issued for two of the men following the triple murder on August 25, 2013. Despite numerous complaints presented to judicial authorities and the International Commission for Human Rights, the situation of impunity and high degree of vulnerability of the community continues. The alleged perpetrators of the murders and other members of the group enter and exit the zone freely, threatening and harassing those who oppose mining and keeping the community in a state of terror. All of those working to defend land rights and natural resources live in a situation of extreme insecurity. At least 11 community leaders have received death threats and 13 have been murdered in the last decades. Another actor who harasses the community is Finlander Uclés, a retired general who claims rights to community lands. Recently, Mr. Finlander issued death threats against two members of the community, who are also members of MADJ and beneficiaries of IACHR protective measures The police and authorities responsible for investigating the crimes, capturing the suspected murderers and protecting the population, consistently cite material difficulties as obstacles to their work. For the Broad Movement for Dignity and Justice (MADJ), which provides legal support for the community land rights defenders, ongoing impunity is due to lack of will on the part of the state of Honduras. The Tolupanes on hunger strike and their families are currently in even greater danger. Since beginning the hunger strike, different people are patrolling around their homes, family members receive harrassing telephone calls, even death threats. Hunger striker Sergio Ávila denounced that on July 8, unknown armed actors yelled at his son, «Get off that horse or we are going to kill you too. » They began to struggle and finally his son threw himself from the horse and ran away. The armed men then killed his horse. – Immediately adopt the necessary measures to arrest those responsible for the murders and harassment in Locomapa; process them in the appropriate, independent and impartial court and apply sanctions according to the law. – Conduct an immediate and exhaustive investigation to clarify the reported crimes and present a detailed report. – Implement, in a timely and effective manner, all of the protective measures necessary to end all forms of harassment and acts of violence against the Tolupanes de Locomapa. We members of the Tribe of San Francisco de Locomapa, declare that we are on HUNGER STRIKE INDEFINITELY, assuming the struggle of the indignados who are fed up with so much corruption, made all the more evident and offensive with the sacking of the Social Security system. We are also highly distressed by extreme levels of corruption in the department of Yoro. This will only stop with the removal and prosecution of functionaries involved in the biggest and and most shameful criminal action against the public welfare and the collective property of the Tolupan people in the department of Yoro. Corruption on the part of the current government and of those preceding it, has dispossessed and sunken the poorest of Honduras into misery. The impact on the Tolupan people has resulted, more than in any other sector of the population, in total abandonment in terms of healthcare, education, access to communication and justice, culminating in the death of our local leaders who dared to defend their natural resources. National corruption has converted the Tolupan community into a zone of usurpation, dispossession, theft and sacking of our natural resources. It has condemned to death more than 100 indigenous whose cases have never appeared in court. We have identified our murders but the authorities are accomplices, refusing to act on arrest warrants and to capture them. With this hunger strike, we ask the national and international community to demand the end of the killing to which the state has condemned us. The hit men are hired by businessmen but they are protected by national and department level authorities who do not uphold the law, but rather use it to terrorize, threaten and murder those who defend the common good and the right to life. We stand in solidarity with the indignados in favor of the installation of a CICIH and we reject the proposal for a false dialogue on the part of Juan Hernández, who is a principal actor in the grand larceny committed against state institutions. We condemn the efforts of Prosecutors Oscar Chinchilla and Rigoberto Cuellar as well as Eli Mauricio Murillo, Environmental Prosecutor for Yoro, to leave in full impunity, the murder of 5 compañeros, defenders of human and environmental rights and the right to life. We demand the capture of Selin Eliazar Fúnez Bonilla and Carlos Roberto Varela Laques, material actors responsible for the murders of María Enriqueta Matute, Ricardo Soto Fúnez and Armando Fúnez Medina as well as the murders of Luis Reyes de Masías and Eracimo Vieda. We will not abandon the hunger strike until these murderers are captured. We demand compliance with ILO Convention 169 requiring prior, informed consent regarding any extractive activity carried out in the Tolupan community. Public communique by CIPRODEH, COFADEH, ACI-PARTICIPA, EIDH, CDM, CPTRT, C-LIBRE. As Human Rights organizations we have accompanied a permanent process of observation and vigilance of the universal right to protest and respect for the human dignity of the young people engaging in a hunger strike since June 22, 2015 in the zone of the Casa Presidencial; we have been with them for five days. Today, June 19, 2015 at 5 am indigenous Tolupan, Erasio Vieda Ponce was murdered in Las Brisas of Locomapa in the mountains of Yoro. Vieda Ponce strongly opposed the use of forests by local business and political figures who for years have exploited natural resources, using all manner of criminal methods against the Tolupan people, in particular the indigenous leaders of this sector. There is clear evidence that the assassins are closely linked to the large land holders and business elites and were contracted to kill Ponce. The same assassins are also responsible for the murders of María Enriqueta Matute, Ricardo Soto and Armando Fúnez in 2013 for defending the forest. We want to denounce that since 2013, we identified Selvin Matute and Carlos Matute as directly responsible for those murders and warrants have been issued for their arrest. However, the national police have not arrested them despite testimonies from members of the indigenous community assuring that they are also responsible for the murder of Erasio Vieda. The alleged suspects enter and leave the area, carrying out these crimes, threatening and terrorizing the community. They remain in strategic hiding places, with the knowledge and tolerance of members of the police of Yoro who have been assigned in an irregular manner, to provide security and to capture the suspects. Today, with greater imperative, we hold the State of Honduras and its representatives in the office of the Attorney General of Human Rights, Yoro, Secretary of Justicia, Attorney General for Ethnic Groups, National Police. Luis de Reyes Marcía, husband of Consuelo Soto, was murdered and two weeks after burying her husband, she was the target of an attack on her home by the same assassins forcing her and her entire family to flee the zone. While the level of conflict intensifies in the zone, evidenced by the number crimes in the last three months, there is neither response nor direct intervention on the part of the Secretary of Justice whose staff has demonstrated complete negligence in response to the requests for security and justice that the Tolupan people demand. Once again we demand that the State of Honduras fulfill its functions and capture those responsible for these deaths. ¡¡WE ARE FED UP WITH LIES AND THE DEATHS OF OUR INDIGENOUS COMPAÑER@S!! 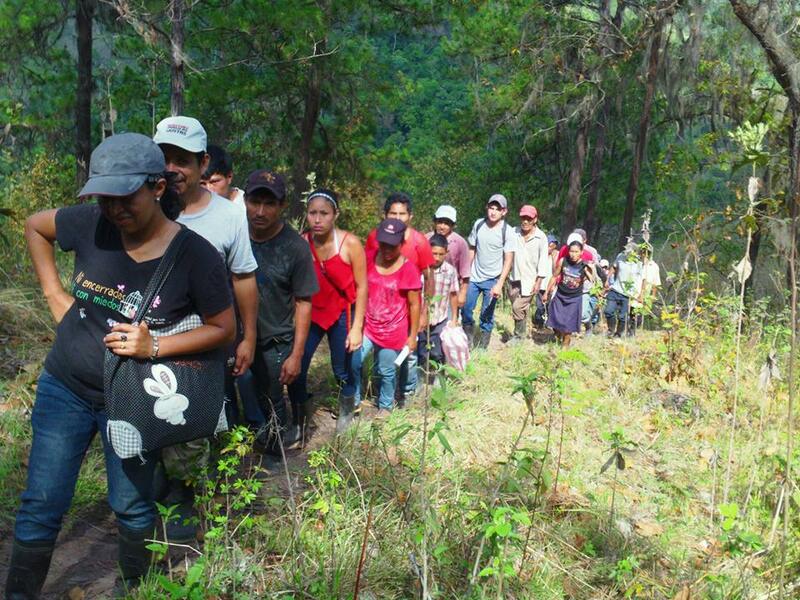 On April 11, 2015, PROAH accompanied an activity organized by the Preventative Council of the Tolupán Tribe of San Francisco de Locomapa and MADJ (Broad Movement for Dignity and Justice), which included a walk along one of the tribal boundary lines in recognition of their lands. The activity included a homage for Luis de Reyes Marcía, Tolupán indigenous member of the community of Locomapa, Yoro, who was assassinated on April 4, 2015. Luis is the fourth land rights defender murdered in this small community, following the murder of three of his companions in the land struggle, in 2013. On August 25, 2013 three indigenous Tolupán were murdered by gunfire in the community of Locomapa, Yoro, in northern Honduras. The victims were María Enriqueta Matute, Armando Fúnez Medina, and Ricardo Soto Fúnez. They, along with other members of the Tribe of San Francisco de Locomapa, were organizing to protect natural resources and to oppose the illegal mining of antimony and logging on their communal lands. The murders occurred after 12 days of protest by the community, peacefully blocking the road. Witnesses testify that the murders were committed by two men belonging to a group that works for the mine and powerful business interests in the region. (see PROAH article 2013). In response to a petition for protection for the community issued by MADJ, in December 2013 the Inter American Human Rights Commission (IACHR) issued protective measures for 18 members of the community and their families, a total of 38 people. On February 22, 2014, in a public ceremony, which PROAH team members attended as international observers, Honduran authorities committed to fulfill their obligation to protect those under threat and to capture the suspected assassins. However, the State of Honduras has not fulfilled its obligation to implement protective measures. The situation of impunity and extreme vulnerability of the community continues. Following the three murders, several families had to flee the zone for six months; one person exiled from Locomapa, has not yet been able to return. Two years after the crime, the alleged assassins, for whom arrest warrants have been issued, remain at large in the community; they and others in their group, continue to harass and threaten those who oppose mining, creating a state of terror in the community. On April 4, 2015, tragedy struck the community again: another member of the community, Luis de Reyes Marcía, was killed. His body was found, brutally murdered with several stab wounds in the thorax and neck. Luis Marcía was the husband of Vilma Consuelo Soto, a beneficiary of protective measures by the IACHR and an active member of MADJ. Her family had returned to their land on February 22, 2014 after being forcibly displaced for six months due to death threats. On returning, Consuelo Soto and Luis Marcía continued with the land struggle. Just before his murder, Luis and Consuelo had presented a complaint to the local police regarding new death threats and damage to their crops. The principal suspect for his murder is part of the same group that constantly intimidates the community. On May 22, just six weeks after the murder of her husband, Consuelo Soto suffered another attack. According to Consuelo, a neighbor who was bothered by a visit of the District Attorney for Ethnic Groups, investigating the murder of her husband, came to her house where she was with her two grandchildren, and fired on them three times. Consuelo Soto threw herself to the ground with the two children to protect them. 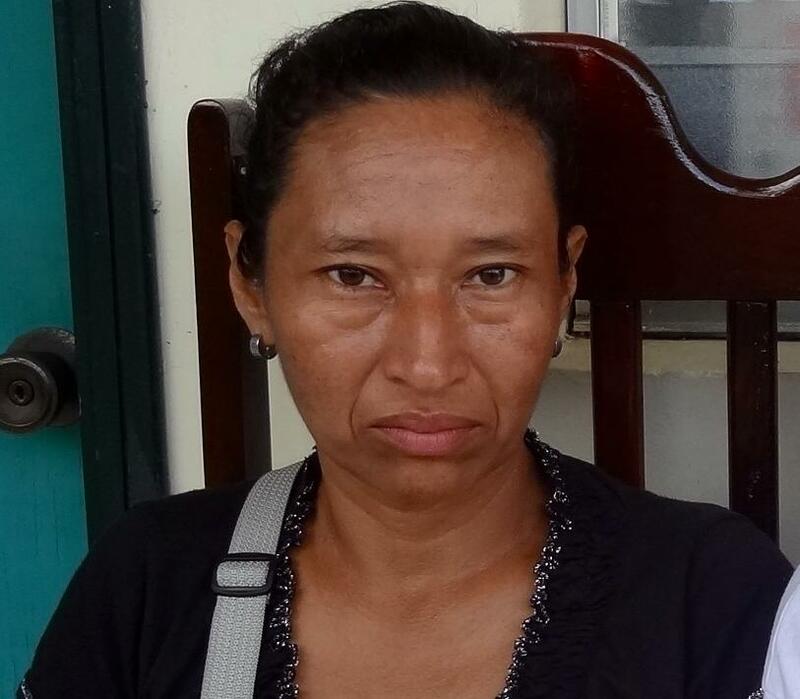 She fled to the home of another neighbor and then had to leave the community (listen to her testimony here, Radio Progreso). It is supposed that the gunman is also part of the group working for powerful business interests. Those who struggle for land rights in the community live in an extreme state of insecurity. At least eleven community leaders have received death threats. Another actor who harasses the community is Finlander Uclés, a retired general who claims rights to community lands (see PROAH article June, 2014.) Recently, Mr. Finlander issued death threats against two members of the community, who are also members of MADJ and beneficiaries of IACHR protective measures. Due to the situation of extreme vulnerability for the Tolupanes of Locomapa, MADJ demands: that authorities duly investigate the 2013 and 2015 murders; arrest warrants issued for the capture of those responsible for these crimes be acted on; the responsibility to implement protective measures and guarantee the safety and integrity of beneficiaries be fulfilled; and finally that the companies illegally exploiting natural resources in the zone be removed as they are causing violence and conflict.